Dreams that don’t go away – For the fainthearted . 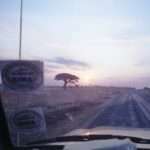 . .
← Back in Africa . . . There was no hot water in the bathroom, but in the houses beyond the compound walls there are no bathrooms at all, and the cold water hardly has the iciness of that which might come from a house in Ireland. There is a morning coolness outside and the promise of a day in the mid-twenties, as every day all year round is in the mid-twenties. A Rwandan friend brought a modem last night, which allowed an Internet phone call home as well as catching up with Britain’s futile plans to bomb Syria and news of the continuing rise of Liverpool Football Club. “A “good” life really does not require very much,” I thought, and then I remembered Charles. 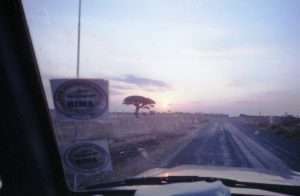 Charles lived in Tanzania in the late Nineties. It was a country ground down by poverty, burdened with international debt, where there seemed a dreadful air of resignation. One of the brighter spots was in an area where a bit of private enterprise had brought some employment to a remote village and had brought some unlikely characters onto the scene. A village on the shores of Lake Malawi, reached by road with great difficulty, was the base for an Anglican Mission hospital, but also for a German company that exported ornamental tropical fish to markets in Europe. The fish were caught with great care by local men and stored in tanks; to await the weekly arrival at the local primitive airstrip of the plane that would transport the catch to a point where it was transferred to a long haul flight. The fish project was a source of hard cash for the local economy and was run by Charles. He was an amazing man who had fled to the West from Czechoslovakia at the time of the Russian invasion in 1968. He raged about corruption and inefficiency and dishonesty; he raged at the people who worked for him; and yet he had remained keeping that project running, keeping men in work; keeping cash coming in. Charles lived in a good house – concrete walls, a corrugated iron roof, windows with glass and mosquito screens, cold running water, electricity for three hours each evening. He had a good sitting room with comfortable chairs and piles of books. You could sit and listen to the BBC World Service on the radio. The nutshell existence at Charles’ house would have been fine; the bad dreams would have been the problem: the daily encounters with extreme poverty; with people dying unnecessarily; with children facing a precarious future; with women battered by their husbands; with men drunk on millet beer by eleven in the morning; with the scourge of AIDS, coming to haunt people’s lives, adding itself to malaria and all the other tropical diseases. Charles’ rages were his way of coping with the bad dreams come true that were all around him. Spending a short week here, it is easy to remain buoyant, to note every improvement, every change for the better; stay long enough and the dreams would close in.